BloodHound Red Ale. Mighty Ale, Mighty Music, Might count to ten, Might go home early. A big, malty red ale uplifted with generous amounts of hops. This is a magnificent looking beer of 6.3% ABV, carrying 189 calories a serve size. the FYO station of 1 litre makes this 4.97 standard drink units. 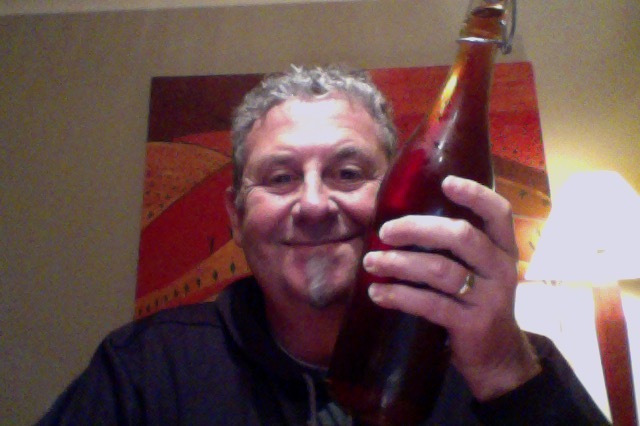 Brewed by ParrotDog in the style: Amber Ale and they are based in Wellington, New Zealand. A citrusy NZ hopped aroma featuring a hint of roasted malt is supported by full-bodied, red coloured malt base and a pleasant NZ hopped bitterness to round off. A big, malty red ale uplifted with a generous amount of hops. I confess to having this over two years ago, wherein I was a bit of a fan, rating it the 8. I saw it on tap and couldn’t resist, it’s been a while, and it’s clearly a brewers standard. That syrupy rich aroma, with a nice under of hops greets me as I pop the top. Pour is a deep red brown with a lovely full head, more to my pouring technique I feel as it settles into something a lot more manageable and persistent. You get a lot more of a raw grassy aroma in the glass. That is really nice a toffee sweet bitterness with a lovely mouthfeel and a lovely finish that isn’t either sweet or dry. The bitterness, well that is about right, it’s there, reminds you it’s there and then lets the rest of the beer do it’s thing. As it warms, and I had to leave it for a few minutes it’s picked up a lovely floral thing, which wasn’t expected and brought a smile, still maintaining the welcoming bitterness and lovely not ver-sweet backbone. This is so much better than I remember. Back to their description though ‘ Big Malt’ ‘Full Bodies’ this is both of those and very good at them too. Top notch. I still can’t pour and the second glass is a half/half of beer and head. Lucky it’s a big glass. I’ve become a bit enamoured of this as a beer and this hits all the taste points where you want it to, it is a beer for the moment perhaps, on another day you’d be wanting something more or else. The aroma that you catch just before sup, the wash of bitterness, the slight dip of earthiness, the rise of the sweetness and the finish of hoppy grassness. I think I’ve said too much already. The pdubyah-o-meter rates this as 9 of its things from the thing.This is a great beer, a beer to sing songs too, but not about. I enjoyed the first half with some food, and it made it really special, I’m enjoying the second half post-food and I can see that I might run out of palate or steam for it, although It might take a third to get there. Am I enjoying it? I am, it rally hit the sweet spot of nicely bitter, nicely sweet, and nicely dry, I feel like one of the there bears. Would I have another? I wouldn’t hesitate if you could arrange a quick delivery. Would I share with a friend on a porch and set the world to rights? I would, and possibly it’d be a long and eventful night of shooting the breeze and of times when it was all good as wood. A man could get emotional at times like this. Got to say this isn’t punk, it’s pop. A style without definition, amber ales range from bland, vaguely caramel beers to products with a fairly healthy malt and hop balance. Often the differentiation between a quality amber and an American Pale is that the amber might have more dark malt character, or a less assertive hop rate. Greetings from Shizuoka, Japan and another lover of good beer! Truly looking forward to reading your great reviews! 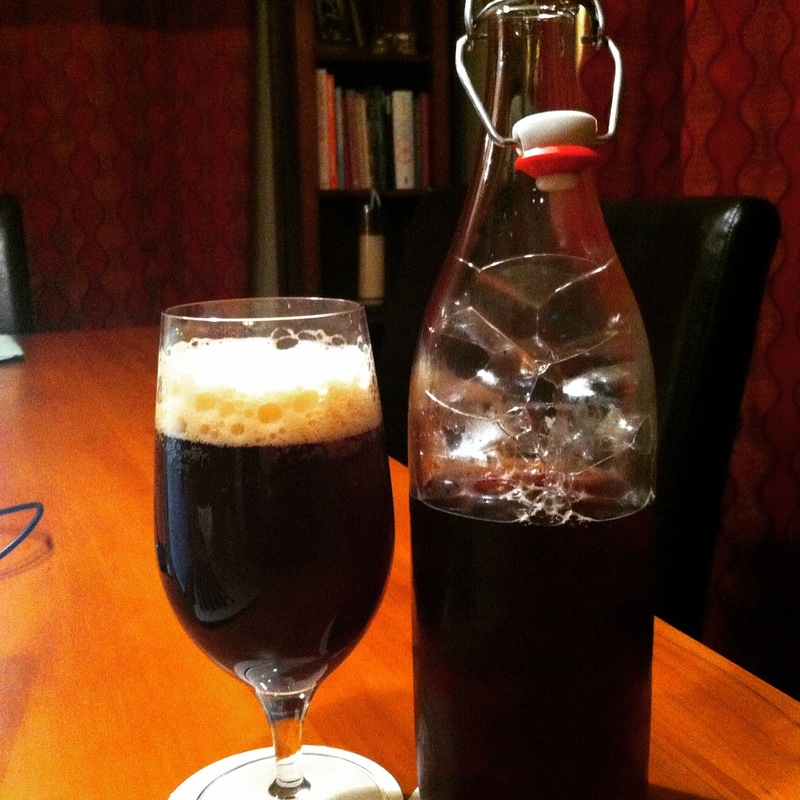 This entry was posted on July 24, 2015 by Philip Walter in Amber Ale, Beer, Beer of New Zealand, Beer Review, Craft Beer, Critic, Justsaying, ParrotDog, Red Ale and tagged craft beer, ParrotDog BloodHound Red Ale, ParrotDog Brewing.